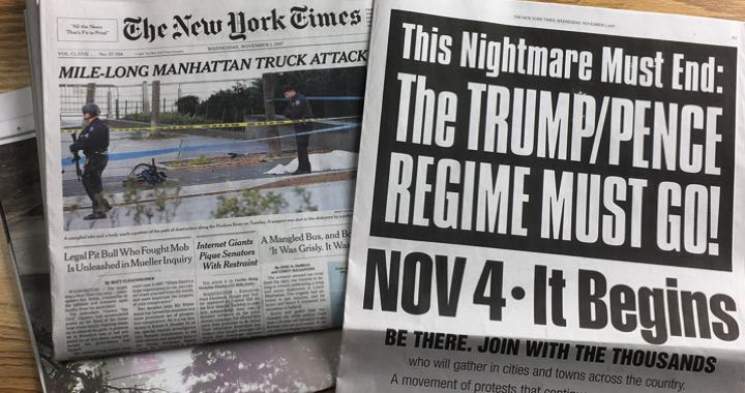 The location of their incitement is in, none other than the New York Times. The Grey Lady accepted money in exchange for a full-page advertisement calling for the removal of Donald Trump by any means necessary. 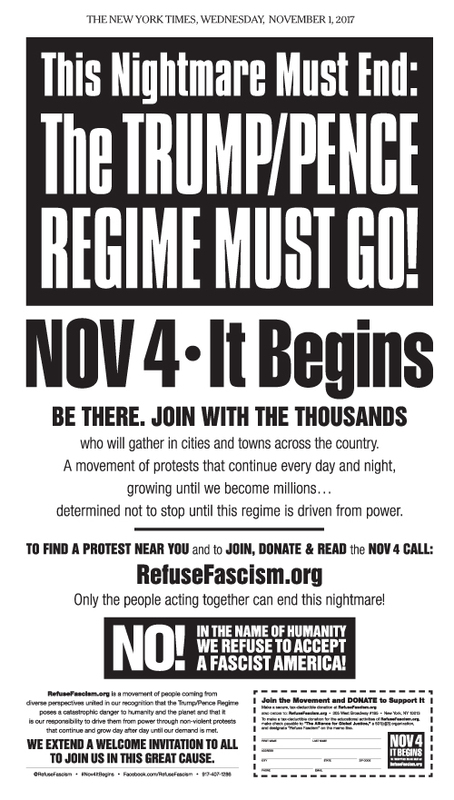 Incredibly, the mainstream left is endorsing a communist organizations attempt to subvert the United States. Arrest and execute all officials of Antifa as well as NY Times for High Treason now.